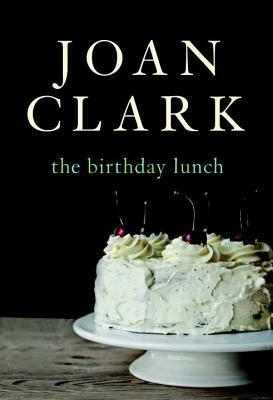 Joan Clark has been writing books for a while (since 1968). The Birthday Lunch is her most recent book, but I feel quite sure that it will not be my last. Latitudes of Melt is one of the books in my Atlantic Canadian stack. Corrie watches as Hal lifts the strand of hair from Lily’s face and supporting himself on one hand, with the other he holds the mirror close to her nose. Seconds, minutes dribble away but Hal keeps holding, he keeps holding until he hears a voice telling him to look in the mirror. Hal searches the mirror, looking for a cloud, a wisp of breath but all he sees is himself and he knows, he knows Lily is not alive. The mirror drops away and Hal leans over the body, kissing the forehead, the cheeks, the lips. Then back on his heels, he lifts his head and howls, he howls to the pitiless sky. From the first line of the book you know that Lily is going to die, and it pulls you into the story right away. Hal McNab made love to his wife for the last time the morning of the day she was killed. But you don’t yet know how or when (that day) it will happen. She spends her birthday morning reading in bed (an activity and place that she is often found in). Then she is supposed to have lunch with Hal, but he is having car trouble, so Lily’s sister Laverne gets to have her to herself for lunch instead. Hal and Laverne had just had a heated discussion about this very event; they both wanted to have a birthday lunch with the person they loved the best. Hal and Laverne have a long history of not being able to get along, and Lily has always found herself in the middle. If only Hal and Laverne had been able to work things out between them. But, how could they have known? How can any of us know? This is a beautiful book about love and loss, grief and regrets, learning how to live after the unthinkable happens, and what it means to be a part of a family or a community grieving together. With the death of Lily, a husband has lost his wife, children have lost their mother, and a woman has lost her sister and closest friend. Joan Clark writes about this in a way that feels authentic. She doesn’t try to make everything all better; she just tells us what happens. Everyone and everything about this novel felt natural to me; the ambiguous characters (we all have our dark places); the neighbours popping in and out of their lives; extended family members making appearances. It was in the details of their actions and non-actions, what they said to each other and what they didn’t say, the subtleties and nuances of real life. Artwork by Pieter de Hooch plays a part in this novel. For some insight into how it fits in to the story, as well as the idea of “what each of us chooses to express, and how and when we choose to express it” see Buried In Print’s review of the book. The National Post’s review of The Birthday Lunch touches on one of the reasons I love reading local authors- the fun of reading about places I’m familiar with. The family in this book lives in Sussex, New Brunswick, and one of their daughters is a student in Sackville, NB (a place that was also featured in a book I recently read, Fallsy Downsies by Stephanie Domet). With fictional accounts of Canadian small towns frequently mapping them as ailing, close-minded, and oppressive places from which any successful individual flees, Clark’s Sussex is a vibrant delight. Like any habitat, Sussex has problems, secrets, and history, but Clark describes how the majority of its citizens—whether the gossip with binoculars perpetually around her neck or the diplomatic funeral home owner—reach past their immediate needs to embrace the wounded McNabs. Although, as The Birthday Lunch points out, “sorrow does not sleep,” the small kindnesses and touching moments of outreach offer welcome instances of comfort for a gaping wound can never fully heal. Joan Clark on The Next Chapter talks about the reasons behind the themes and setting of her novel (her own mother was hit by a truck in Sussex, NB), and the process of healing through creativity. I like the sound of this. I need to find a way to buy Canadian books aside from Amazon from whom I will not buy! One of our largest independent book stores here is mcnallyrobinson.com. They ship worldwide, but I don’t imagine they have free shipping after the first $25. BTW, on your last best book post (posted today I think), I was able to read it and like it, but there was no spot for leaving a comment. I don’t know if anyone else had that problem or if it was just me. Just wanted to let you know in case it was something in your settings. Has to be a Canadian holiday sometime, then. Thanks for mentioning the comment problem. I’ve sorted it out now. Eriksdoter is her very best and most imaginative work. I also enjoyed An Audience of Chairs. While Latitudes of Melt was very atmopheric however, I felt it lost its way toward the end… but may be I missed out on something. She is a wonderful writer. Like you, this was my first of her novels; also, like you, I am definitely going to read more. I have Word for Home close at hand, but I expect I’ll be gradually collecting over time, indulging happily at some point. It’s hard to talk about this novel without revealing the core of the theme, isn’t it? But I found that thing-we’re-not-saying, and they way it is revealed to us as readers, so powerful. That so many small petty resentments and frustrations could lead to such a situation. It feels so true, as though, if we were to look too closely around our own lives, we could spot dfiferent versions of this kind of “everyday tragedy” easily, there, too. One of my favourite characters was the woman who witnessed the accident: wasn’t she just wonderfully drawn? That’s exactly what I liked about this book. It felt so true to life in all the little ways. But, it’s very hard to describe to other people, isn’t it? I agree with you about Corrie – she was wonderful!